Until the 1980's, Elk Grove was a predominantly rural farming community. In the late 1980's, suburban development began to take place and the rural feel was slowly transformed into an urban atmosphere. In the year 2000, Elk Grove incorporated into the city of Sacramento, and an incredible residential boom began. 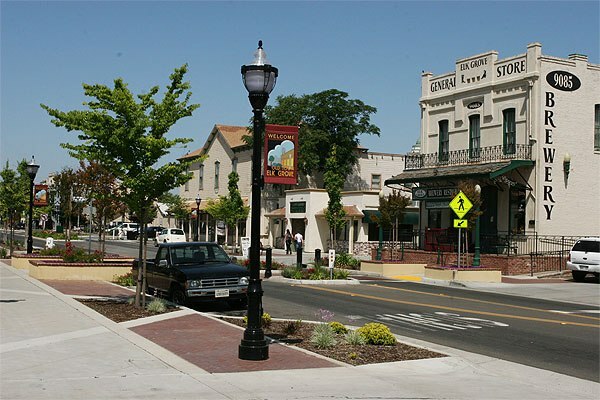 By the year 2004, Elk Grove had become the fastest growing city in America. The community was desirable as a bedroom community for both Sacramento residents and commuters from San Francisco who wanted a nearby place to settle. Elk Grove is now the second largest city in Sacramento County with approximately 160,000 residents. It's a far cry from the small village originally borne out of the stagecoach and gold rush era in the 1800's. Named after the Elk Grove Hotel that serviced travelers, the city has a rich history that includes Native American groups, agriculture, and vineyards. Elk Grove offers some of the finest education facilities in America and is the fifth largest school district in California with almost 62,000 students. There are over 70 local restaurants and numerous attractions close by. Cosumnes River Preserve, Stone Lakes Refuge, and Laguna Creek Parkway are excellent local natural sites to visit, along with more than 90 parks and several golf courses. There is something for everyone in Elk Grove. Precision Automotive Service is the right choice for automotive repairs and maintenance for Elk Grove. We pride ourselves in providing a comfortable, family atmosphere for all our clients. Precision Automotive Service- come experience the difference our friendly staff makes. Book a convenient appointment online or call us today!